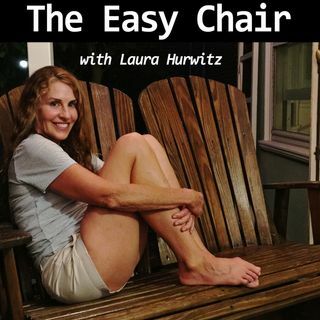 Co-host Jane Gross and I get together again after a too-long break for Heart to Heart, healing wisdom for creative souls (though really, for all listeners)! It’s been a while, and for Jane, life has taken some wild hairpin twists and turns, but always, there’s something to be learned, and Jane shares with you some hard-won insights on grieving, coping, and overcoming. It’s a very honest look at heartbreak, loss, anger, and new beginnings. Please join us for a deep, frank, and revealing look at ... See More life after upheaval. The sponsor of this week’s podcast is Rothy’s, the flats for women and girls that hit the trifecta- comfortable, stylish, and sustainable! Go to Rothys.com and enter code chair to get your new favorite shoes, free shipping with no minimum. I love my Rothys and I guarantee you will too!